Please, do not take the threats of Iranian President Hassan Rouhani to close the Strait of Hormuz to Arab oil exports as a response to US stiffness against Iran, because it is in fact one of the rounds to harm the Arab Gulf interests since this oil is the main source of the economy of those Gulf countries. These threats open a new front against Saudi Arabia, the United Arab Emirates and Kuwait. Moreover, they complete Iran’s plan to strike Gulf interests and another front for the Iran-Arab conflict, just as in the current Yemen war. It also comes in the context of Iran’s attempt to block Saudi Arabia from the south by controlling Bab-el-Mandeb Strait, the southern entrance of the Red Sea. This is why Egypt intervenes in this conflict, because the Iranian presence in Bab el-Mandeb threatens the entering and leaving navigation from the Suez Canal. This is despite the contradiction between the Iranian behavior and the Constantinople Convention, which guaranteed free navigation of the Suez Canal since 1888. Iran knows well that the bulk of Gulf oil goes to east and southeast Asia – the largest consumer of this oil – and that another major share is heading to the Mediterranean Sea via pipelines from Iraq, Saudi Arabia and others. But the biggest bulk of this oil is making its way to Asia via the Iran-controlled Strait of Hormuz, although the other side of this strait is overlooking the UAE. The Gulf countries have been alerted to the danger of Iran’s closure of the Strait of Hormuz. As Iraq and Saudi Arabia have succeeded, a long time ago, in laying pipelines to transport their oil through pipelines to the Mediterranean Sea, the UAE, particularly the Emirate of Abu Dhabi, as it is the largest exporting country to east Asia, resorted to build a pipeline to transport its oil from Abu Dhabi to Fujairah, on the Gulf of Oman, to take its way to importers in Asia and elsewhere. It (UAE) is also considering and planning to expand the volume of its crude oil transportation, as well as to export natural gas, which represents the future energy, and in this way revitalize the economy of the Fujairah, which is a UAE emirate. 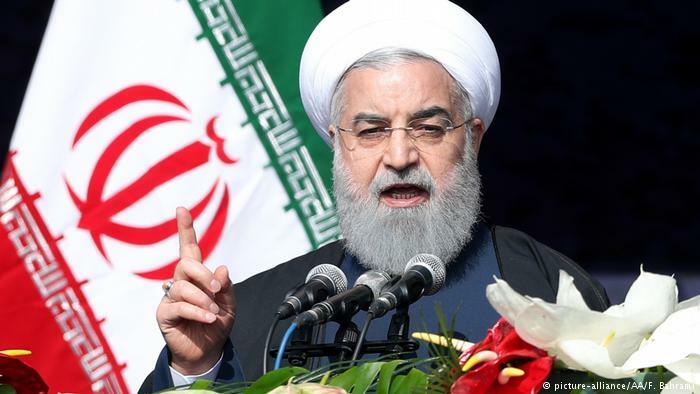 The danger remains inherent in Iran’s vital goal since the days of the Shah, and increased during the Mullah regime starting with Khomeini – the export of Khomeini revolution to the west, where are the UAE, Saudi Arabia, and also Bahrain. Thus, the Iranian plan is focused on directing several blows to Saudi Arabia and those countries that are thwarting its plan. Here, oil is the means by which Tehran tries to hit the Arab countries that oppose its plan, especially Saudi Arabia and the UAE.